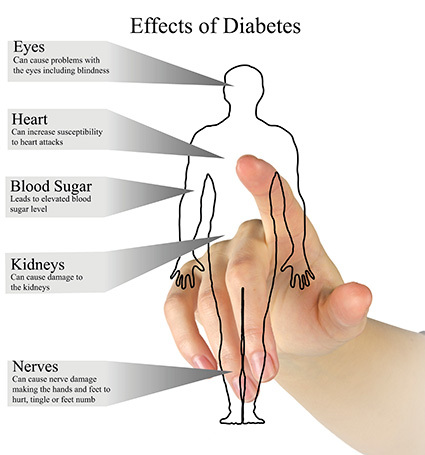 Diabetes is a disease that can affect many organ systems. It can cause damage to blood vessels in the eyes, damage to the kidneys, damage to nerves in the arms and legs, and severe problems with blood circulation. Dr. Gary Birdsall Medical Clinic strives to control diabetes before damage to major organs occur. We achieve this by offering quarterly diabetic visits which include testing for glucose, HbA1c and possible organ damage. A HbA1c is a test that consists of a simple finger stick that checks a patient's non-fasting glucose over 3 months to evaluate a patient's control of diabetes. Results are almost immediate. 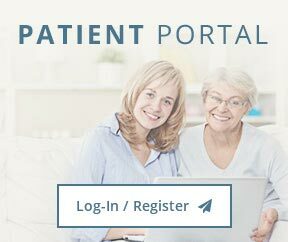 Neurological symptoms - Sudoscan testing - a fast, painless test to check for nerve damage to arms and legs from diabetes. Kidney damage - microalbumin urine testing is available to check for kidney damage. Circulatory symptoms - an Ankle-Brachial Index test may be performed to determine blockage or damage to blood vessels in arms and legs from diabetes for referral to cardiology. Eye disease- a referral to ophthalmology.